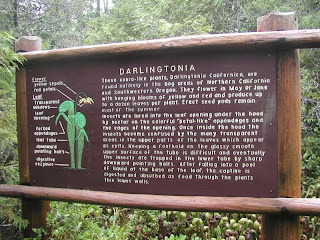 We have been driving right by the Darlingtonia Botanical Natural site for several years now. Last week-end we finally made the stop. It is roughly 5 miles north of Florence, Oregon. 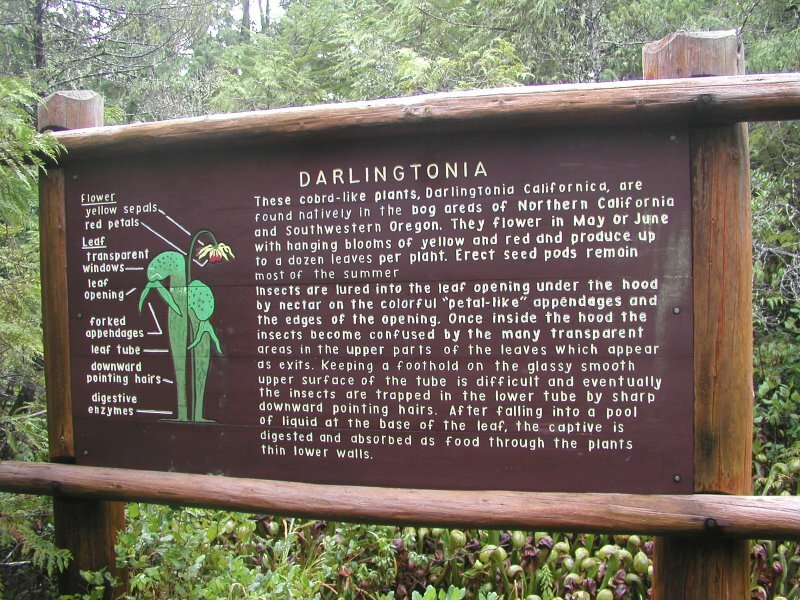 There is a small sign right off of Highway 101 that takes you to a small paved parking lot. The trail starts off through the shaded trees on a wide forested path that winds around to a wooden bridge. From here you go through a marshy or bog like area. The path takes you to this viewing area. Here you see these amazing insect eating plants, they are also known as a Cobra Lily. They do look rather prehistoric. Would be fun to come back when they are flowering. After spending most of the day in Florence, hiking the Hobbit trail, and then down at the docks we came home and barbecued. I had green beans and red potatoes left over from last weeks market and decided upon some type of potato salad. I found this recipe from "Dave Lieberman" on the Food Network website and just made a few minor changes. Great flavor with a lot of crunch! Start potatoes in a large heavy pot of cold salted water, let boil until potatoes are just tender. (I like my potatoes firm). Drain and rinse with cold water to stop the cooking. Bring another pot of salted water to boil and then add green beans, cook about 4 to 5 minutes until crisp tender, drain and rinse with cold water. In the meantime, whisk all the other ingredients together until smooth. Toss everything together. Add salt and pepper to taste. Enjoy!